Ronald J. Welsh, 80, of East Moline, passed away May 7, 2018, at Clarissa Cook in Bettendorf. Per Ron’s wishes, cremation rites have been accorded and a memorial service will be held 11am Saturday, May 12, 2018 at Bethal Assembly of God in Rock Island. Quad Cities Cremation Center is assisting the family with arrangements. Ronald was born Oct. 24, 1937, in Burlington, IA, the son of Robert and Helen Blank Welsh Sr. He married Joean Harnish May 30, 1959 in Freeport, IL. Ronald played basketball in his school days and his love for the game became a passion for UTHS sports, especially the girls and boys basketball team. 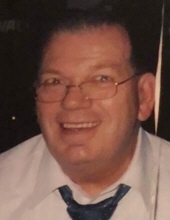 He was an avid sports fan of the Giants, Yankees, and the Chicago Bulls. Ron was a very social person and loved to sing in choir at church. Survivors include his wife, Joean; daughters, Rhonda, Lori (Gary), Pam (Jim) and Amy; son, Michael (Angela); 9 grandchildren; 18 great grandchildren; brother Steve (Melodie) and several nieces and nephews. He was preceded by his parents and one brother. The family wishes to express a special thank you to Clarissa Cook for their loving and undivided care of Ron. To plant a tree in memory of Ronald J Welsh, please visit our Tribute Store. "Email Address" would like to share the life celebration of Ronald J Welsh. Click on the "link" to go to share a favorite memory or leave a condolence message for the family.